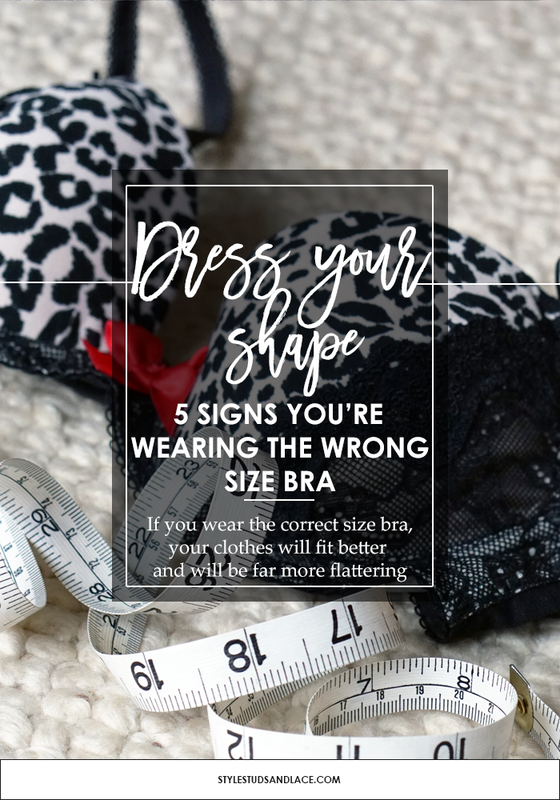 I’m sure you’re all aware of the benefits to wearing the correct size underwear – the difference it can make to your figure (it can make you look slimmer) and how well clothes fit you. 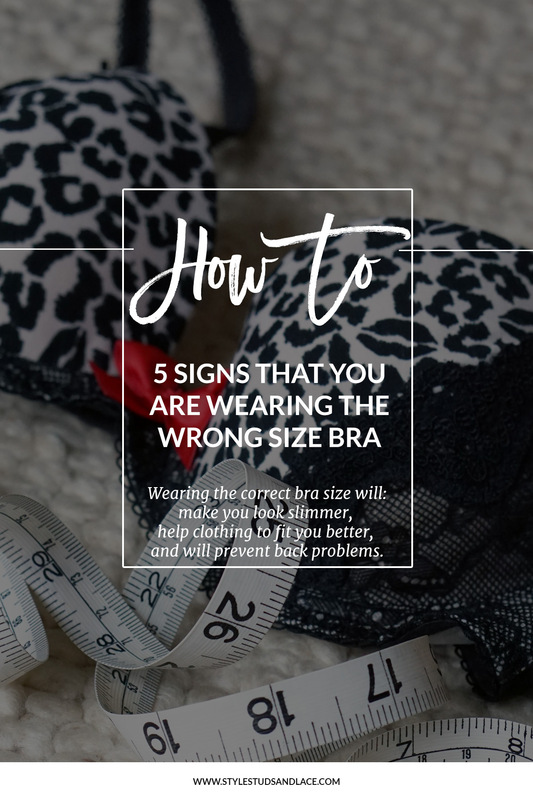 You’re also probably aware of what happens if you don’t wear the right size bra – the bad posture, the terrible back ache, and the ill-fitting clothes. But how many of you are wearing the right size? And do you know how to detect this? 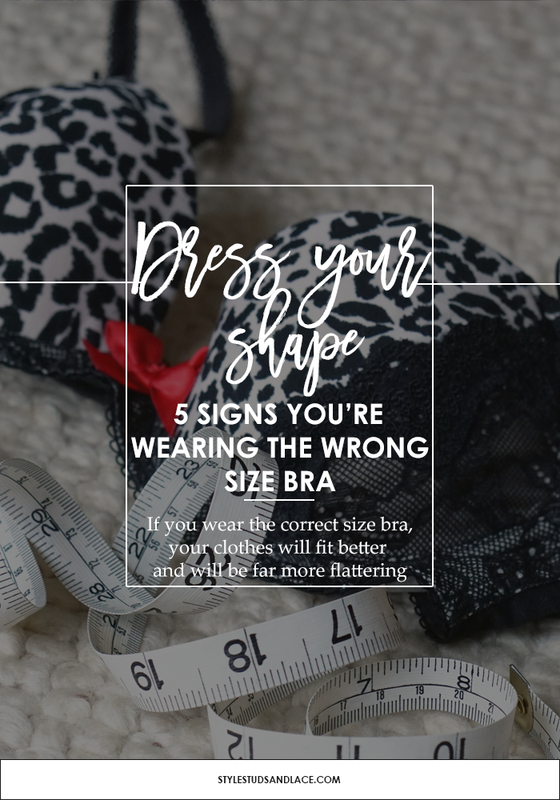 This post is the first in a two part series – This first part will help you identify whether or not you’re wearing the correct size bra, and the second – over here – will help you choose style of bra for your breast shape. I’m a trained bra fitter and can tell pretty much immediately if a client is in the right size bra or not. And if they aren’t, it’s crucial that I address this before we start the styling session. 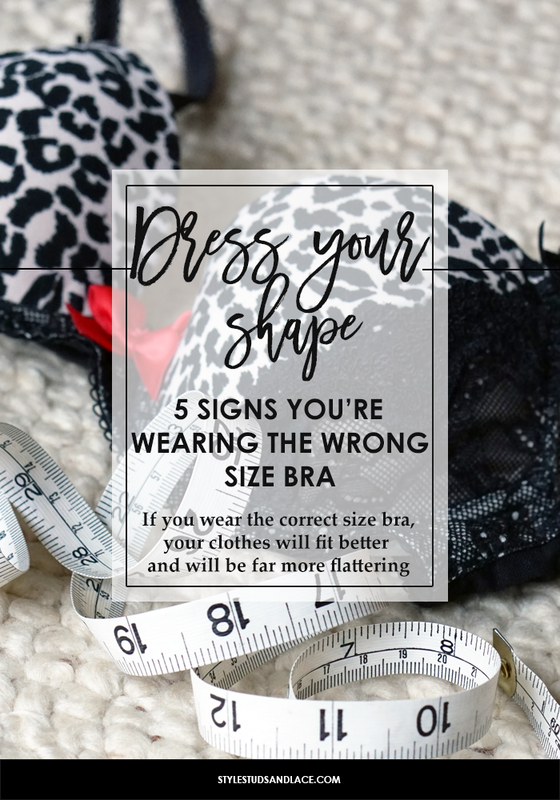 There is little point in trying on clothes until she is wearing the correct size bra as the right size will not only lift and enhance a bust, it will enhance (and, in most cases, uncover a waist). Dressing to suit your shape is one thing, but if you’re not wearing the right underwear your efforts will go to waste. The cups of your bra ride up when you reach up – if this happens then the back measurement is too big for you. Try going down a size at the back…and try a cup size larger. Your bust bulges out of the cup – this means the cup size is too small for you or the shape is wrong. Choose a larger cup size and opt for a style with a full cup. Your bust doesn’t fill the cup properly – the cup is too big for you or the wrong shape. Try a smaller size and choose a style which offers less coverage like a balcony style. If any of the above signs sound familiar to you, I highly recommend you head to your local lingerie boutique or pop into Macy’s or Nordstrom in the USA and John Lewis or House of Fraser in the UK (who both offer a complimentary bra fitting service) and get yourself fitted properly, you won’t regret it! And don’t forget to head on over here to find out what the best style of bra is for you!